Use is restricted to members of the Northeastern community. 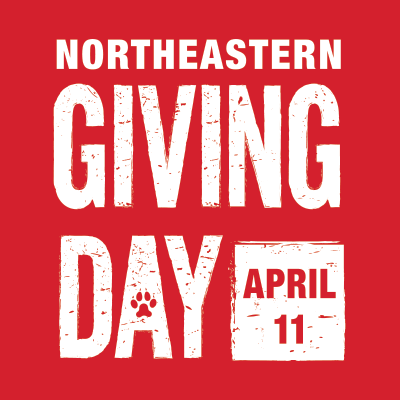 You must be a current faculty or administrative staff member, or officially registered student of Northeastern University. SciFinder Scholar is not intended for use by walk-in visitors of the library who are not affiliated with the University. You may use SciFinder Scholar only for academic research done in the course of pursuing your degree, or in instructing students, or, in the course of your own research funded by the government or a non-profit foundation and intended for publication in the publicly available literature. Commercial use is forbidden. You may NOT use SciFinder Scholar for commercial research; for example, research that is done under a funding or consultant contract where the results are delivered to a for-profit organization, or for research that involves patentability searching. If you require SciFinder for commercial purposes, you must have the search done using a commercial account by contacting the librarian responsible for chemistry searches on campus, by contacting CAS and having them perform a search for you, or by acquiring and using the commercial SciFinder product. You may not download more than 5,000 records. You may use search results in the ordinary course of academic research and may store search results in electronic form for the duration of research projects, provided that at any one time, you store no more than 5,000 records. You may share search results in a limited, reasonable way with other University students or faculty working on the same project. The building of searchable Project directories or Databases for use by individuals and Project teams is permitted. Each User is permitted to download and retain a maximum of 5,000 Records at any given time for personal use or to share within a Project team for the life of the Project. These Records may be obtained from more than one CAS product as long as the 5,000 limit/User is not exceeded. You must delete stored records when you no longer need them for the relevant research project, or after the completion of your degree program, whichever occurs first. If you need to use search results beyond what is described here, you must contact your University Key Contact to discuss and to obtain CAS permission. YOU ARE NOT PERMITTED TO DISTRIBUTE ANY CAS DATA OR SCIFINDER SCHOLAR, FOR COMMERCIAL GAIN OR OTHERWISE, OUTSIDE THE UNIVERSITY OR TO THIRD PARTIES. Northeastern University has entered into a license agreement with CAS to provide access to SciFinder Scholar. Violation of the license by any user could result in a termination of the license for all users. Please contact k.herrlich [at] neu.edu (Kathy Herrlich) with any questions related to the use of SciFinder Scholar.